Stephanie Smith in ‘Paintbox’ by Colin Gaudet for Schön! Photographer: Colin Gaudet. Model(s): Stephanie Smith. Source: Schön Magazine. Stylist: Sarah Jay. Makeup: Vanessa Jarman. 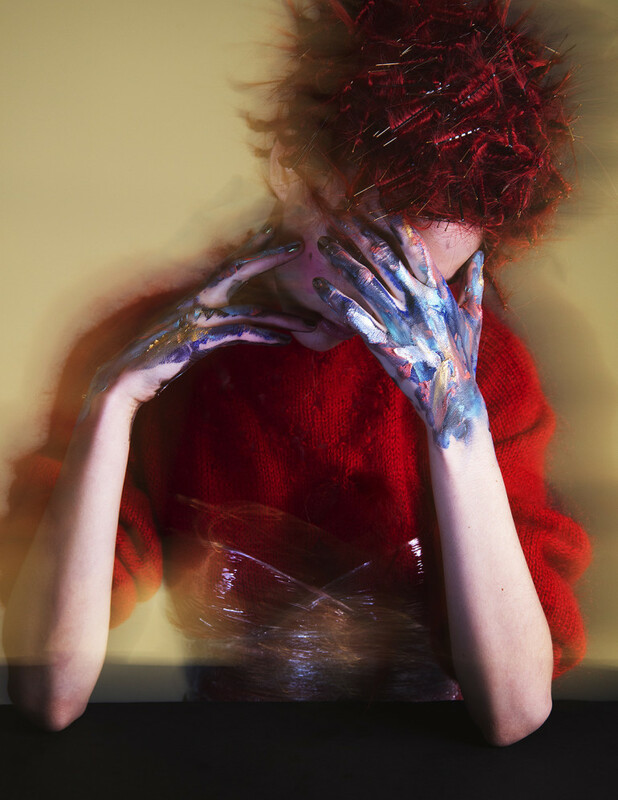 Stephanie Smith plays a human palate in ‘Paintbox‘ by Colin Gaudet for Schön! Magazine. A fantasy of riches, each shot celebrates the beauty of blurred lines. Theatrical images seal the deal by making the person part of the art. 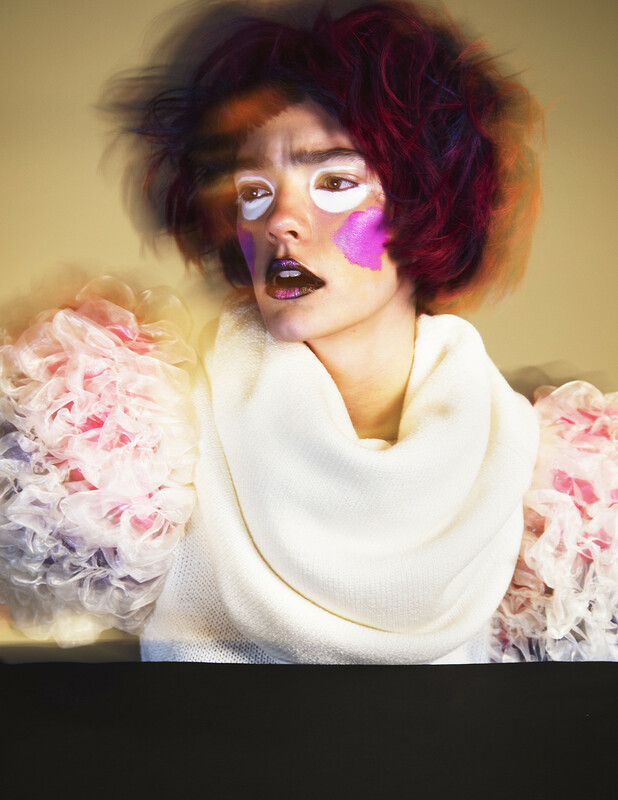 Stylist, Sarah Jay, turns fashion into fantasy with a dizzying mix of modern designs. 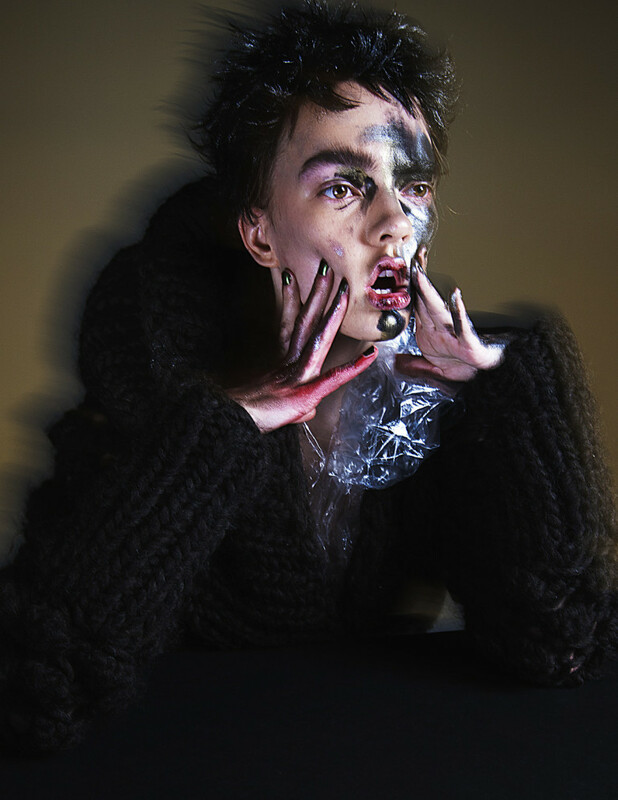 The madness of mayhem erupts as haute couture melds into high end hallucinations. Exotic elements evoke an unruly vibe with avant-garde accessories that steal the show. Wrapped in burlap packed in plastic, each delicious image is a treat for the imagination. 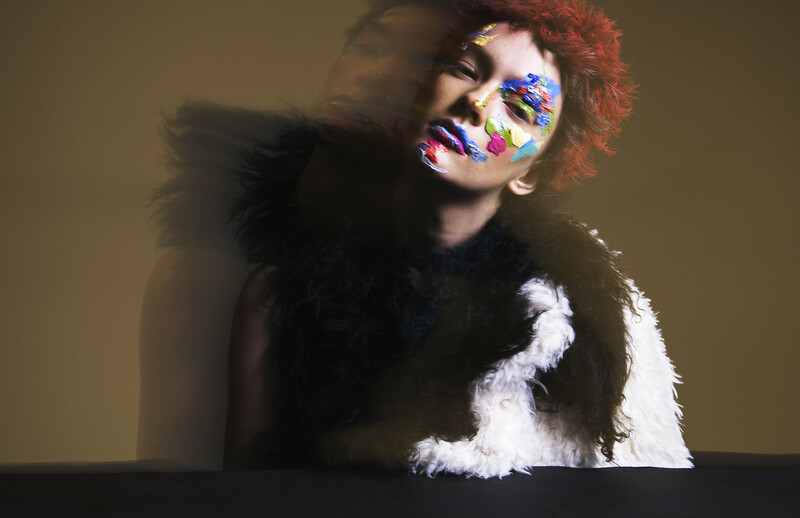 With colors cast across the skin creativity spreads like so much paint on a palate. 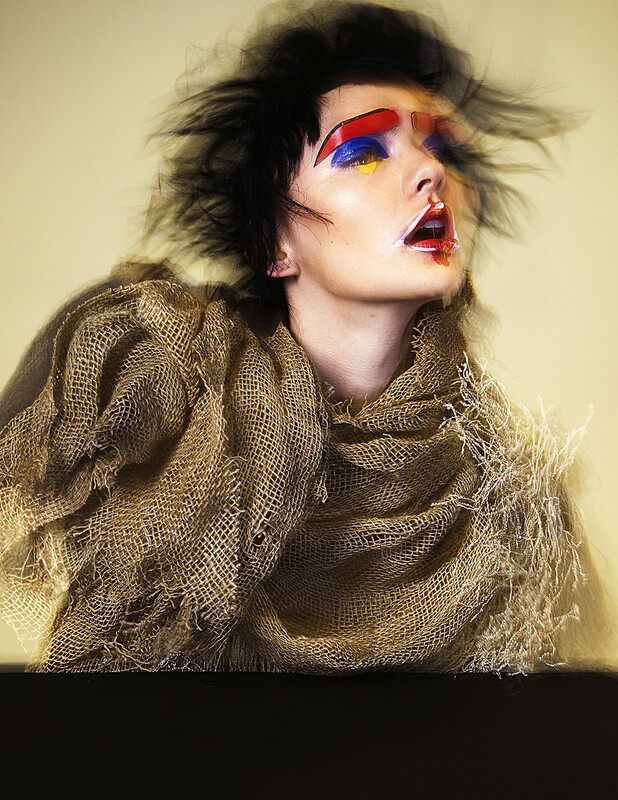 Time reflects the torment of truth as (Makeup/Hair) Vanessa Jarman finds the beauty of life in the chaos of living. Red revs things up with wigs wrapped in rubber bands, while sculpted shapes sing as bobby pins playfully poke out. Posed in an illusion of light each face captures a unique story with bold shades that stake claim to the extraordinary.